This post was contributed by Leah Nicolich-Henkin. Leah has been playing games her entire life, and enjoys dabbling in game design. When she isn't gaming, she lives in Portland, OR, and works as a linguist. If you've played games with different groups of people, you've probably noticed how much the players can change the tone of a game. A single game might be fun and competitive with your Tuesday gaming group, and a complete dud in your Saturday get-together. While it may seem like one group is just more fun than the other, I believe that a single person - I'll call them a Game Enhancing Player (GEP) - can take a game and bring out specific aspects of the game that make the experience more fun and engaging for the whole group. The different types of GEPs - The Agressor, The Storyteller, and The Narrator - perform this same function in very different ways. The Agressor is an unabashedly antagonistic player who takes every opportunity to target her opponents. This might sound frustrating, but once The Agressor starts attacking people, everyone else gets into it as well, either in spiraling retaliation, or just because now they understand that it's how the game is played. Players all end up keeping an eye on what other players are doing, trying to predict each other's moves. The result is that everyone is more involved in the game, and more interested in what's going on during other people's turns. I recently played with an Agressor when I played Citadels. In Citadels, players choose different roles as they each build their own city. They have the option to choose agressive roles like "the thief" or "the assasin," but it's never required. I learned the game playing with an Agressor, and loved how much it required guessing what roles other people would choose. Then I tried introducing Citadels to a different group of people; with no one to force an aggressive tone on the game, it stayed mild. Instead of players interacting, it became more of a simple race to build a detached construct the fastest. It's okay, but nothing to get excited over. As a game designer, you can't count on having an Agressor in every game to get people into the right mood for attacking each other. An alternative is to add mechanics to force a little agression in the beginning of the game. 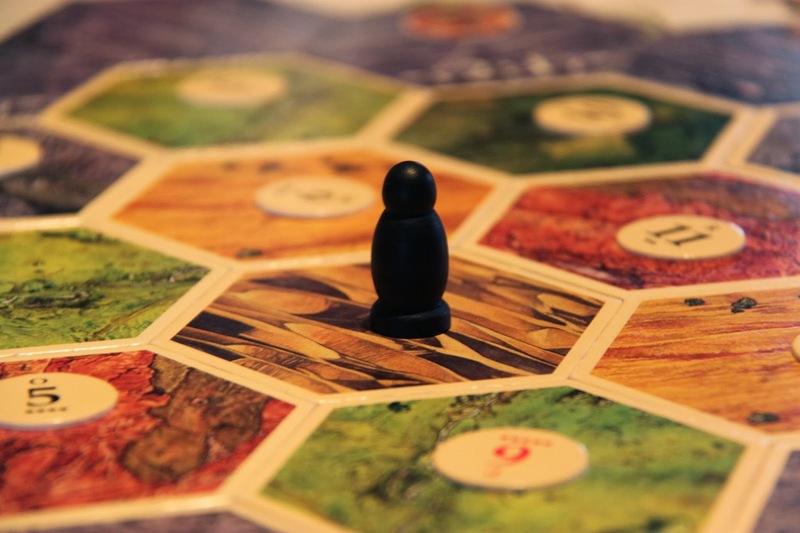 For example, in Settlers of Catan, rolling the robber forces players to choose who to attack early on. A pattern of attack and retaliation, similar to that created by The Agressor, follows naturally from this mechanic. A Game Enhancing Player does not have to be agressive, though. Most games have a theme, but it sometimes gets completely forgotten in the actual gameplay. The Storyteller changes that, by making continual references to the theme. He can transform a game from feeling like it's about points to feeling like it's a story. One game where the Storyteller makes a huge difference is Gloom, which I was lucky enough to play with its designer, Keith Baker. 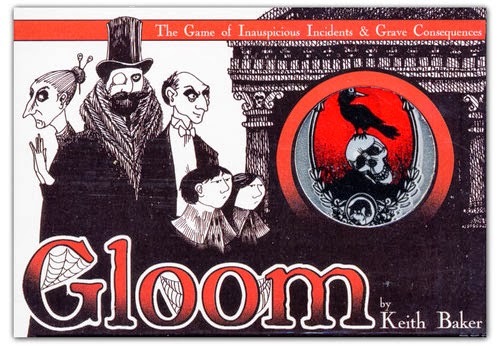 In Gloom, each player controls a family, and the goal is to make them all suffer as much as possible, and then die. Playing with Baker, a great Storyteller, the game was fun because it involved thinking of ridiculous connections between the stories on the cards, and explaining the disaster my family was living. With Baker leading, everyone got involved in reading out twisted tragedies. When I played a different day with a different group, no one led the story telling, and the game was simply about drawing and placing cards - not nearly as much fun. A example of forcing storytelling can be found in the board game based on Battestar Gallactica. In this game, each player starts by choosing a role. The name and title of the role (ex. President Roslin) correspond to theme-based abilities the role comes with. As a result, it's almost impossible to ignore the idea that you are playing different characters in the defense of a spaceship. It also helps that people are constantly accusing each other of being Cylons. The third, and rarest type of Game Enhancing Player is The Narrator. The Narrator is an ideal person to learn a game from. By narrating the action, she helps players keep track of what choices they have at any given time, how the game mechanics work, and what all the other players are doing. For example, the game Ra requires keeping track of what tiles you've taken, what tiles you need, and also what tiles other players are trying to collect. It's a lot to keep track of, especially for a new player. The Narrator can make the difference between most players muddling through with little understanding of the long-term effects their actions are having, and players getting highly involved in a game because they know what's going on. She makes your first play-through of a game like a second or third repetition. The role of The Narrator is a hard one to force. Keeping track of everything is essential to doing well in most games, but hardly ever necessary for basic play. One game that highly encourages this type of narration is Mafia. Forced to choose a person to kill, often with little or no evidence, players have to talk to each other about what other players are doing, and what tactics they might be using. Though quite different, the Narrator also has elements in common with a really well-written rule book, in that both give players a good understanding of what's going on at any given time, and how to react appropriately. Game Enhancing Players are most noticeable in their absence. I generally only notice a GEP when I come to love a game I've played with one, only to find the game much less engaging when I play it again without that GEP. Next time you play a game you don't enjoy, think about whether one of these GEPs might have made it more enjoyable. And, if you're designing a game that's falling flat because players aren't making use of the aggression mechanics, or because players are ignoring the theme, or because players just don't understand what's going on and what they have to do, consider adding one of these mechanics that can encourage normal players to act more like Game Enhancing ones.